As you all know that Hybrid Delve and Search are coming to SharePoint 2016 and SharePoint 2013. Hope below additional details can be of help. What is Cloud search service application? If you plan to use Hybrid Delve and Search feature then you will have to create a Cloud Search Service Application. As far as I know key source behind Delve (Office Graph) for Delve won’t be available On Premises SharePoint. 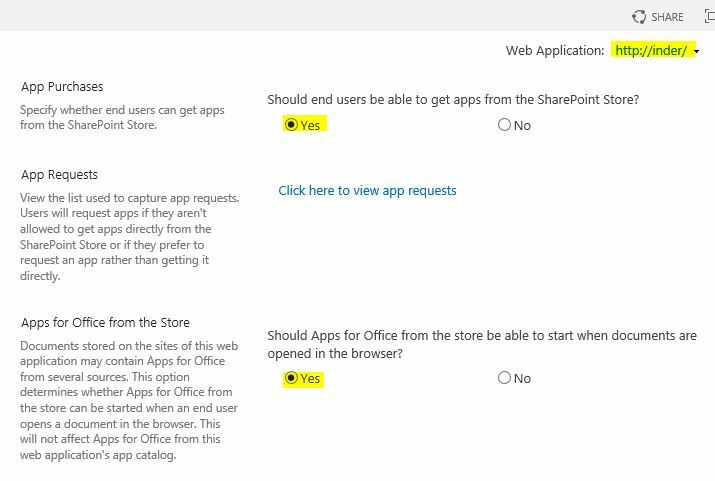 I see a lot of concern where people ask if the crawled content would remain on Cloud server or On-premises SharePoint server. The content itself remains On-Premises and the indexed metadata is unified in a Cloud Index in Office 365. This mean crawled content resides in your environment but their index resides on Office 365 servers. Now another concern is what happens to sensitive data which will be crawled. Its indexes would move to cloud which may not be accepted to everyone. For sensitive content it would be recommended to not index this content using the Cloud SSA. The Combining Hybrid search approaches can use the current Query federation approach for the hybrid scenario should this need to be queried from SharePoint Online. What would be an Ideal scenario if you plan to SharePoint 2016 Cloud Search Service Application? To summarize, if you have lot of content which does not contain sensitive information and your company is ready for Hybrid approach you can crawl Hugh amount of data but your search architecture would be very small because half of the load(Index and Query) would be taken by Office 365 servers. Here you will get a very good search performance even if you have single SharePoint environment. What is required for Cloud search service application? You need On-Premises SharePoint environment and Office 365 subscription to use Cloud search service application. Hope this will help you with your SharePoint 2016 planning. I hope you are aware but incase if you don’t know, Microsoft does not provide complete support if you dont have your SharePoint 2010 build higher then SP1 (14.0.6029.1000). 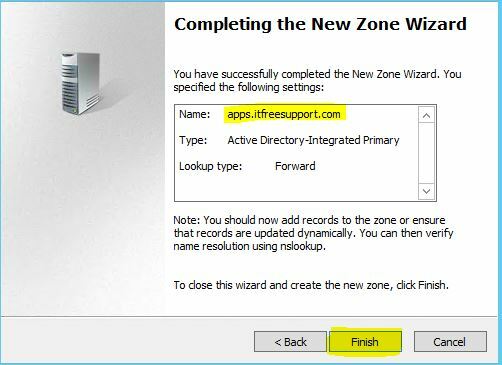 After 13th October 2015, SharePoint 2010 main stream support will end, so you need to plan upgrade of your SharePoint to 2013. Limited break/fix support incidents will be provided through Microsoft Customer Service and Support; and through Microsoft’s managed support offerings (such as Premier Support). There will be no option to engage Microsoft’s product development resources, and technical workarounds may be limited or not possible. 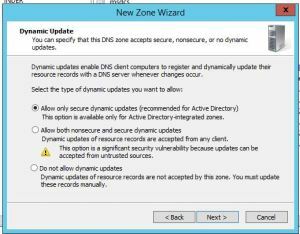 If the support incident requires escalation to development for further guidance, requires a hotfix, or requires a security update, customers will be asked to upgrade to a supported service pack. As far as I know soon SharePoint SP2 will be the minimum requirement to get support from Microsoft. I recently found article which says “Microsoft AppFabric 1.1 for Windows Server Ends Support 4/2/2016“. This was a shocking news for me because SharePoint 2013 uses Microsoft AppFabric 1.1, and this means support for SharePoint will also be effected. In case if you don’t know what is AppFabric 1.1, AppFabric provides hosting, management and caching capabilities for Web applications and middle-tier services. 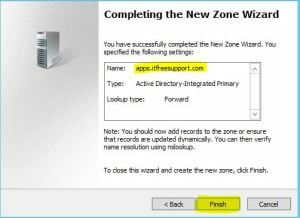 This application helps us to build, scale and manage applications, in particular those built using ASP.NET, Windows Communication Foundation (WCF) and Windows Workflow Foundation (WF). Microsoft has recommended all applications using AppFabric 1.1 for Windows Server to migrate off this technology by April 2, 2016. Recommended alternative is Azure Redis cache. Azure Redis Cache is was build on the popular open source Redis Cache. It provies you access to a secure, dedicated Redis cache, managed and fully supported by Microsoft, so you can focus on your application rather than the infrastructure. We recommend all Microsoft AppFabric customers using Cache to move to Microsoft Azure Redis Cache. As per my knowledge SharePoint 2013 leverages Workflow Manager and an internal workflow hosting for legacy workflows. Finally I found a comment by Erica Mohler(Microsoft) which says “SharePoint functionality (including the Distributed Cache feature) will be supported under the Microsoft Support lifecycle for SharePoint 2013” which was a relief moment for me. Another important point to consider that the next version of SharePoint which is suppose to be SharePoint 2016 will integrate with Azure Redis. 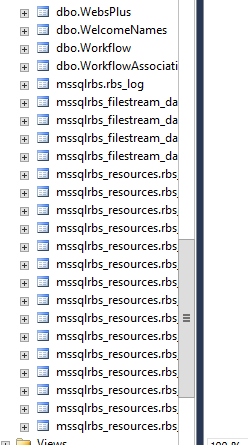 If you see the rbs_install_log_db5.txt file to be less then 1000 kb, e.g. 482 kb, it means it didn’t work. If this has worked fine you will see above 1000 kb e.g. 1218 kb. You can also validate that rbs related tables are added to database as shown below. 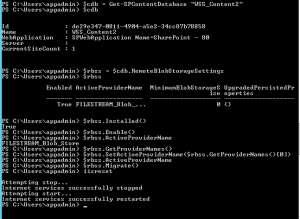 Note: if you face issues while running command, try to reboot both SQL and SharePoint server. I know this is not a solution but a workaround to the known issue you might get. 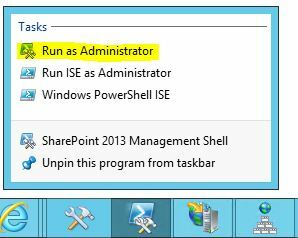 You can also try SQL service restart and iisreset on sharepoint server. You may also check eventviewer log to find symptoms of the issue. 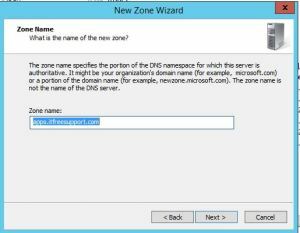 Now run below command 1 by 1 in SharePoint powershell and update the active providername and enable the RBS on content DB. Note: Also every database in web application needs RBS to be enabled or above command will fail. 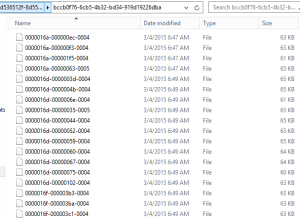 Now if you create site collection and upload a file, you will observe it is moved to this folder you created with SQL command in step 4. 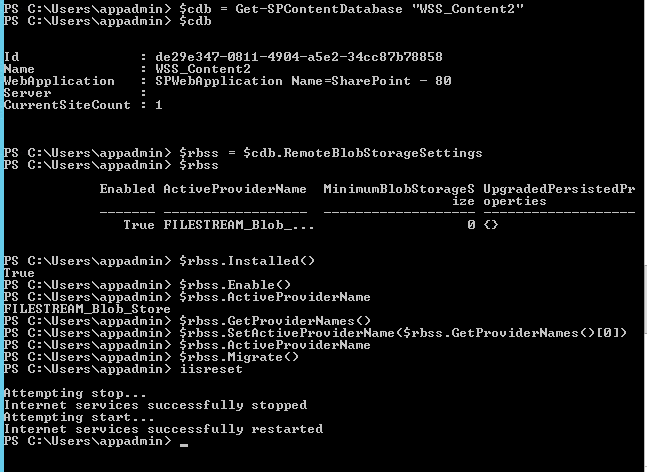 Note: You need to run these command for every content database you want enable RBS on. Troubleshooting: When you run these command, you might face permission issues. 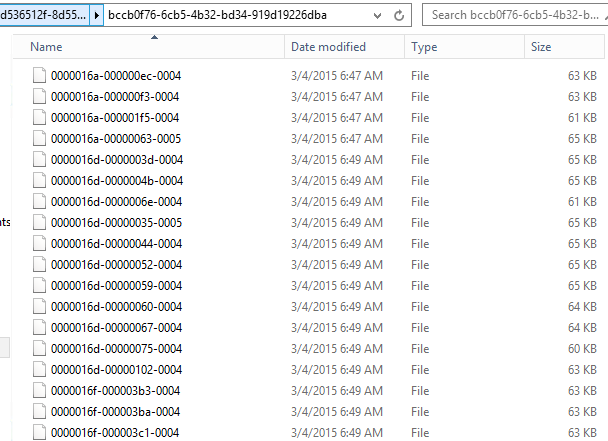 To resolve these issue make sure you have full access on C:\Program Files\Common Files\microsoft shared and registry. 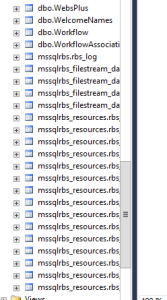 When you run these command, you may not find the error in the log file so run the rbs.msi file and make sure you find all the permission issue in GUI. Many a time when you assign permission on root folder on drive or key in registry, it will not be inherit to subfolder. Make sure you go to the folder shown in error and assign owner permission. 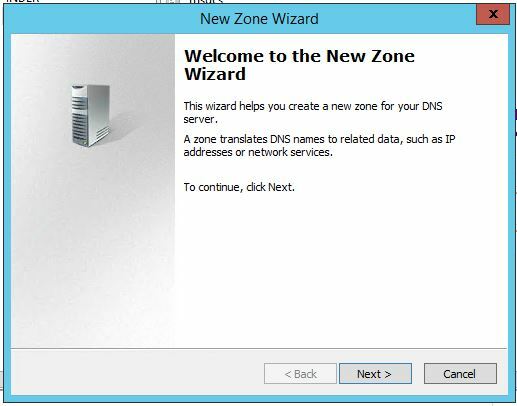 One of my friend recently installed SharePoint 2013 SP1 and run PSCONFIG wizard on all SharePoint server. 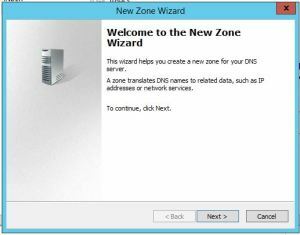 The wizard completed without any issue except 1 server which has Workflow server installed on it. 12/21/2014 10:09:14.44 w3wp.exe (0x06D6) 0x1F3C SharePoint Foundation General 8nca Medium Application error when access /_layouts/15/Workflow.aspx, Error=Method ‘StartWorkflowOnListItem’ in type ‘Microsoft.SharePoint.WorkflowServices.FabricWorkflowInstanceProvider’ from assembly ‘Microsoft.SharePoint.WorkflowServices, Version=15.0.0.0, Culture=neutral, PublicKeyToken=71e9bce111e9429c’ does not have an implementation. at Microsoft.SharePoint.WorkflowServices.FabricSolutionProviderFactory…. Found that when we upgrade SharePoint server, STS service does not updated properly and require a separate update. There is a mismatch of STS and SharePoint which cause this issue. 3. Once update is downloaded, Install it on SharePoint server. In this Post I am sharing Powershell Script to create, update, delete and assign site Quota template. Its a simple process hope you will find this post interesting. 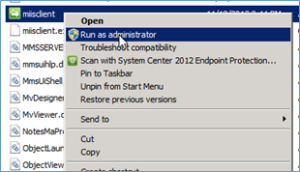 The Script works for both SharePoint 2010 and SharePoint 2013. Note: Value for StorageMaximumLevel and StorageWarningLevel is in bytes, so if you want 100 mb it will be 10010241024. Error : The server could not complete your request. For more specific information, click the Details button. On a side note when you choose the details button for more specific information you are returned a blank form which is unhelpful. Exception: System.ServiceModel.ServiceActivationException: The service ‘/_vti_bin/client.svc’ cannot be activated due to an exception during compilation. The exception message is: Method not found: ‘System.String System.ServiceModel.Activation.Iis7Helper.ExtendedProtectionDotlessSpnNotEnabledThrowHelper(System.Object)’.. —> System.MissingMethodException: Method not found: ‘System.String System.ServiceModel.Activation.Iis7Helper.ExtendedProtectionDotlessSpnNotEnabledThrowHelper(System.Object)’. 6. Check to see if open with windows explore is working by going to a document library and adding files using “add files with windows explore” if no error proceed if not no idea. 7. On the ribbon of the site you want to open click the edit in SPD icon. 3. Now make sure you enable Anonymous Authentication, Asp.net Impersonation, Forms Authentication and Windows authentication. (A note that these are case sensitive. If you get a 500.19 error its because the tags are not using the correct CAML case. You can revert to old backup we took before editing this file). If click yes it shows error ‘External Data Refresh Failed:We are unable to refresh one or more data connections in this workbook.The following connections failed to refresh’. 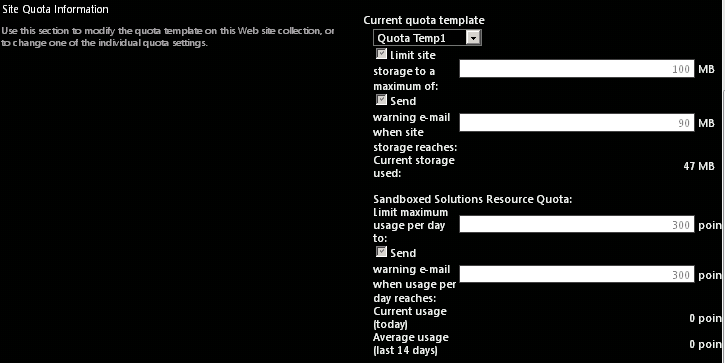 Because the SharePoint site is trying to access external data which may be not non to end user. As part of security, end user gets this warning message. In the External Data section, under Warn on Refresh, uncheck Refresh warning enabled and click OK.
Users who access the workbook will no longer be presented with a warning dialog box. 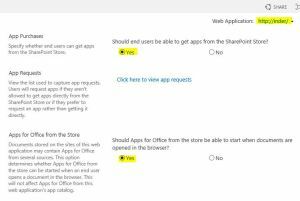 Because the option needs the SharePoint Central Admin level permission that is not opened to the public in Office 365 now. The feature to disable the ‘Data Refresh Warning’ is not available yet in SharePoint Online pannel. 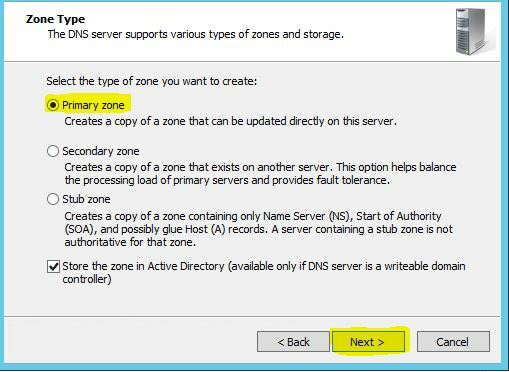 Add new Zone URL here. 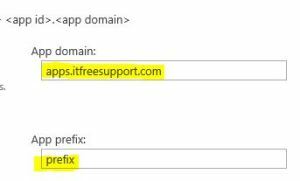 Now we will create Subscription Settings Service Application using Powershell (This option is not available in GUI). 1. 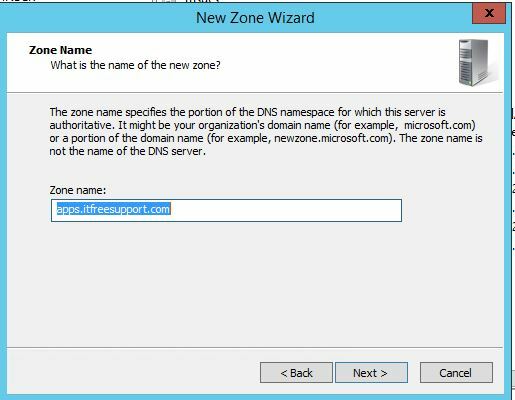 Create Instance name to be used in future. 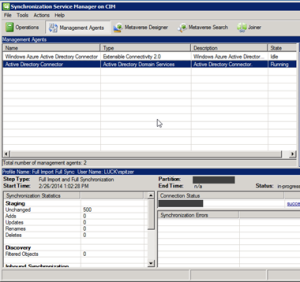 In Manage App Catalog, you will be asked to create a Apps Site collection. Please create a new site collection. Now you will be able to download and use APP from APP store.. Enjoy………………. 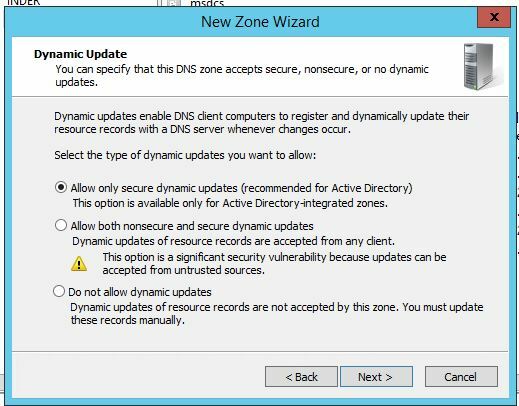 I have seen a lot of post which says they have configured User Profile Service application to import users and groups from Active Directory. 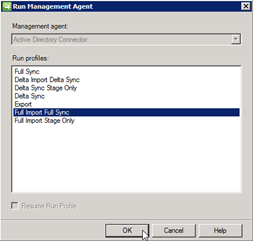 User are successfully imported and Active directory groups are not getting imported by the User Profile Service application. Probably the groups are being imported (these are required by things such as audiences). They will not be displayed however in manage user profiles (or anywhere else), this is by design. Try creating an audience based on group membership and compiling it, this will prove if the groups are imported or not. 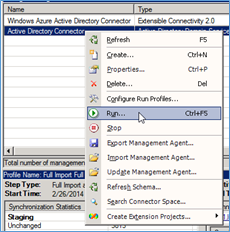 Right-click on “Active Directory Connector” and choose Run from the context menu. Highlight “Full Import Full Sync” and choose OK. The State will change to Running. The bottom half the screen will give information on any changes that it makes during the run as well as any errors encountered.